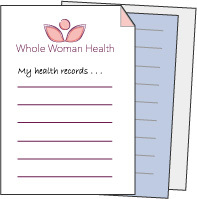 To get started, you will need a Provider Referral PIN from Whole Woman Health. To get one, you must be a Whole Woman Health patient. Request one by contacting us at (207) 563-7000 or by email at info@wholewomanhealthcare.com and we’ll be glad to assist. Once you receive your PIN, you can call Natural Dispensary or register online to set up your account and begin placing orders. Register and get more information. Have your Whole Woman Health Provider PIN handy. Sign-in to Natural Dispensary and place your order now.